Srinagar: The students of the Kashmir University held a massive protest against the killing of student-turned-militant in Pulwama on Thursday. 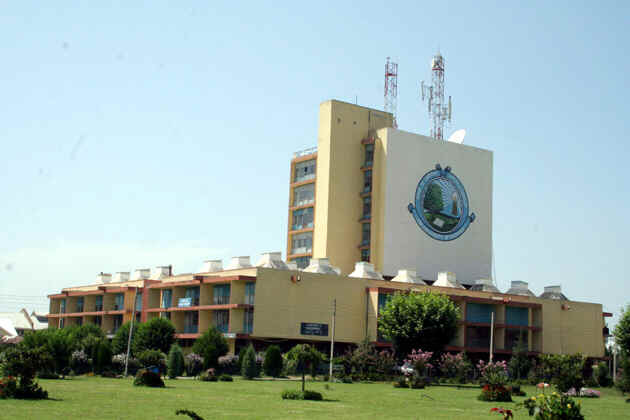 The hostel boarders of Zakura campus besides MA and MAK boys hostel assembled at the main campus of Kashmir University in Hazratbal and staged a protest against the killing of Bhat, a resident of Padgampora, Awantipora. The slain militant, according to the protesting students, was pursuing B. Pharmacy course at the varsity. He had joined militancy on October 2 and was associated with Tehreek-ul-Mujahideen. Meanewhile, Tehreek-ul-Mujahideen, in a statement has said that a militant arrested by the police in Pattan is an innocent student who had been sent home by the outfit as he was ‘very young’. In a statement, a TeM spokesman said that Faizan Majeed of Tral had joined the outfit few days ago but he was asked to go home “in line with the outfit’s policy’ and asked to continue his studies. He said that the police arrested him last night after the outfit carried out a grenade attack in Patan area of Baramulla which left three cops, including an officer, injured. “Militants safely escaped from the area after carrying out the attack. But the forces arrested an innocent student and passed him off as a militant. He had joined the outfit few days ago but he was asked to go home and continue his studies. He has no association with the outfit,” said the spokesman.